The Open Advocate Training Course came to an end on 7th March with an activation at Livity Africa in Cape Town. The activation program was a part of outline of the course, to offer the delegates the opportunity to talk to others about what they have learned and get a real feel of how to activate organisations when they go back to their countries. The Activation Project focused on introducing Livity Africa to the possibilities of Wikipedia and WikiNews. Livity Africa runs a successful youth magazine in South Africa, the Live Mag SA. 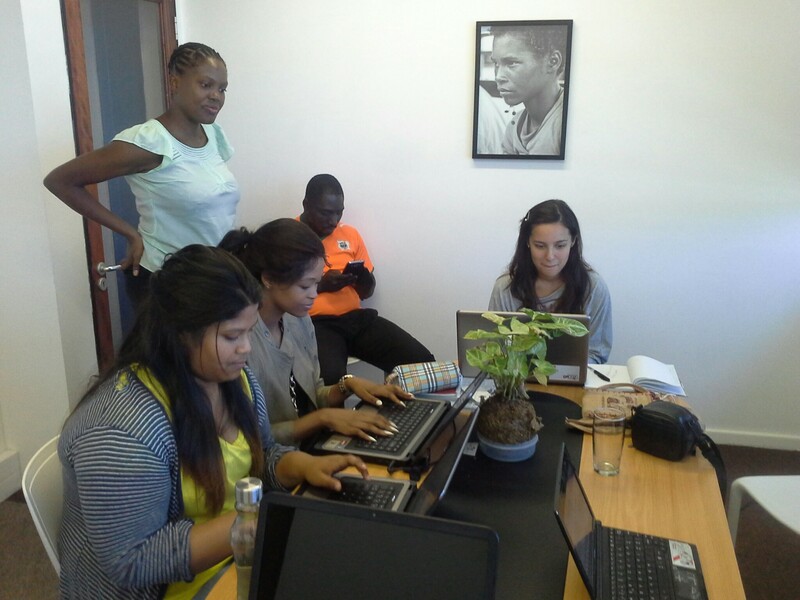 The interns at Livity Africa who participated were eager to learn more and took part in writing up a draft article. Each of the #OpenAfrica14 delegates took turns explaining how to accomplish specific parts of getting started with Wikipedia, such as creating accounts and basic editing skills. A video of the activation is being made into a short documentary (watch this space). In order to be able to write the article collaboratively, a document was put up on Google Drive and the participants connected to it. The article has been moved on to the WikiAfrica Incubator for further improvement and the addition for photographs and other media to make it Wikipedia-worthy.